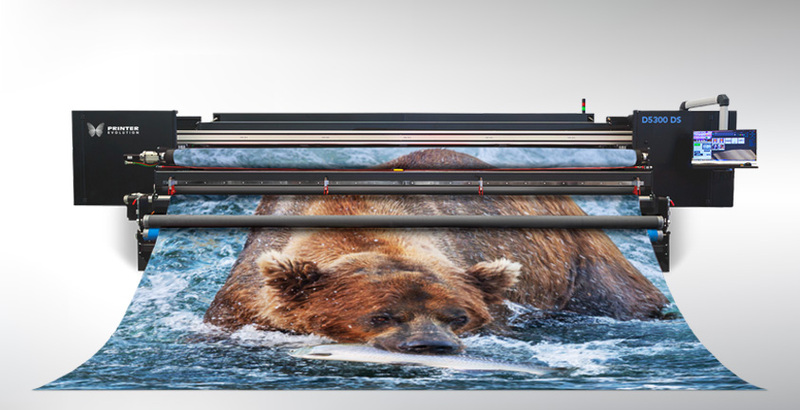 Introducing the D5300 DS from PrinterEvolution, a 5-meter dye sub printer with built-in calender. 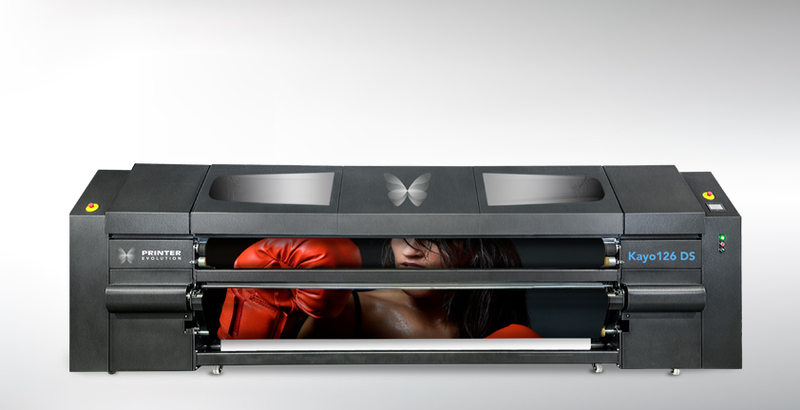 It is the first of its kind in the US and the newest addition to PrinterEvolution’s D Series. the D5300 DS allows providers to print fabric graphics up to 16 feet wide in a single-step workflow. Since the D5300 DS has a built-in calender, there’s no need for an offline calender. 5-meter calenders take up space in your shop, consume excess energy and waste man hours. 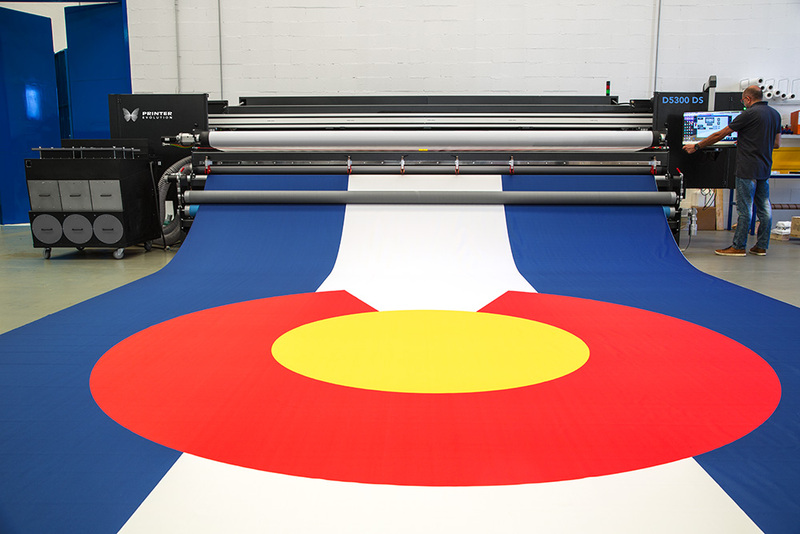 Crank out gorgeous dye sub fabric for retail displays, exhibits and more, all while saving time, money and real estate. 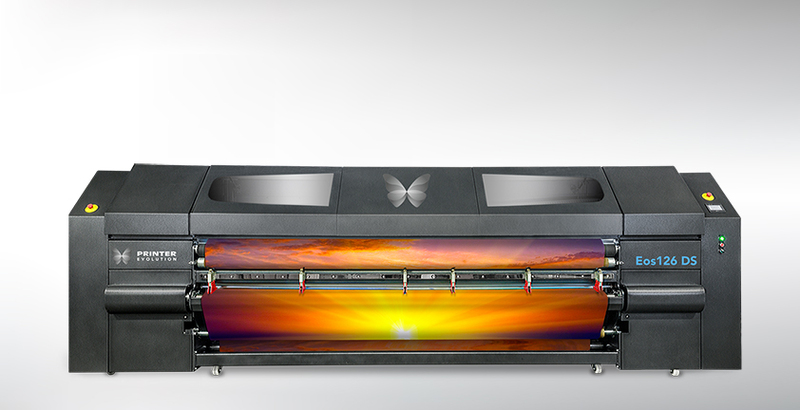 5-meter, industrial built digital textile dye sublimation printer. True calender built-in, with precise heat, pressure and timing settings. 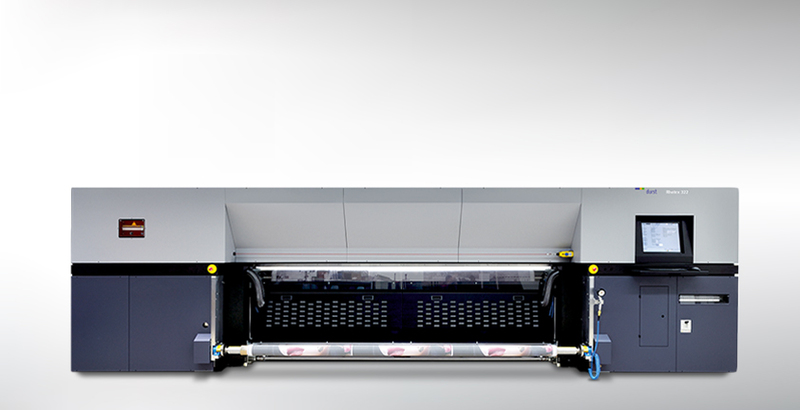 Digital calender controls offer repeatable functionality for perfect prints every time. Water-based, high energy disperse inks. 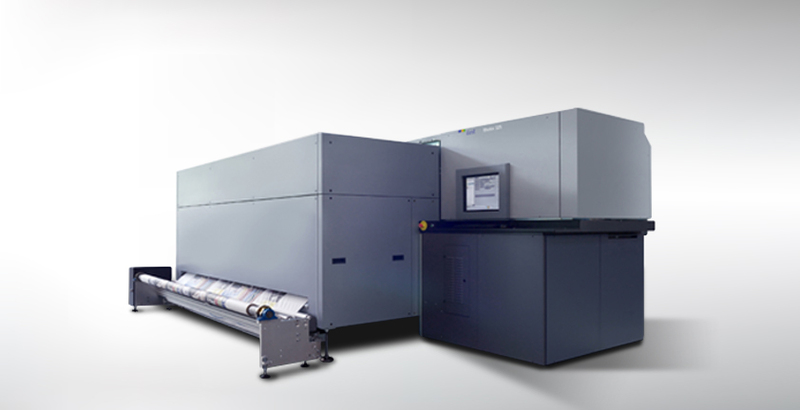 Kyocera 4pL variable drop printheads. Fixation is done on a newly-designed and patented heating drum that is the first of its kind. 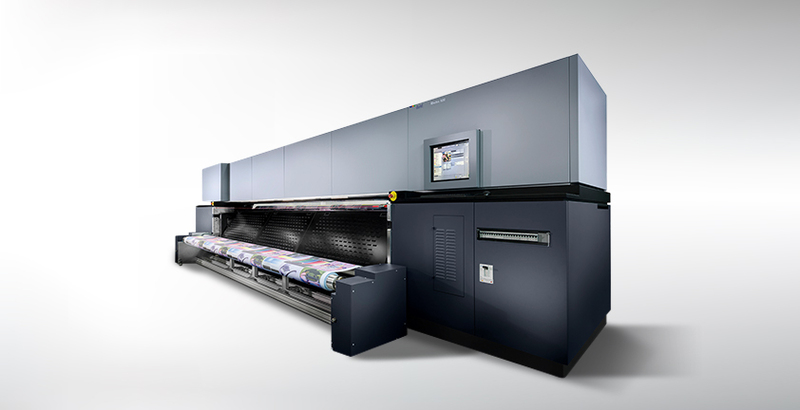 Its digital controls offer consistent, repeatable fixation print after print. 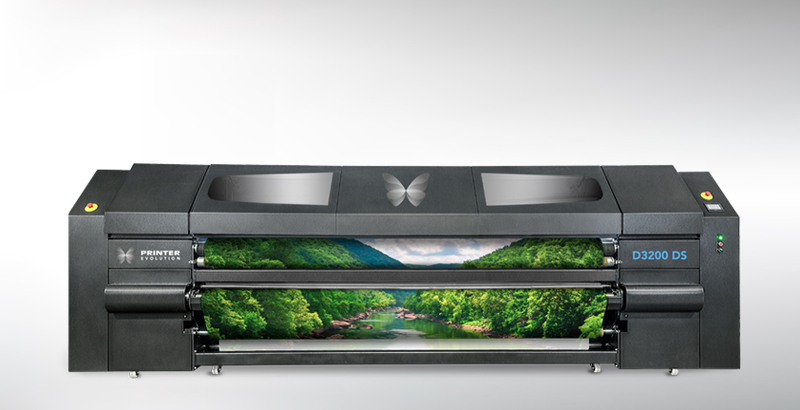 An in-line cutting system, which comes standard on the D5300 DS, uses six adjustable blades to slit the media vertically after sublimation. 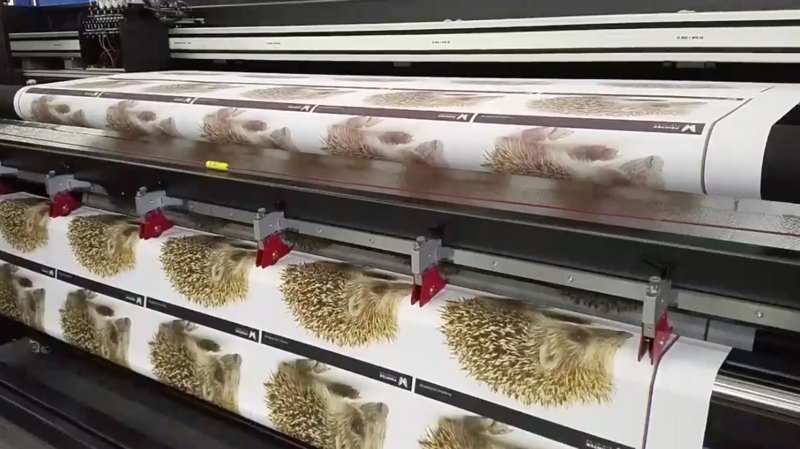 The operator can print several jobs at once and separate them into batches as they come off the printer, decreasing finishing time and increasing productivity. 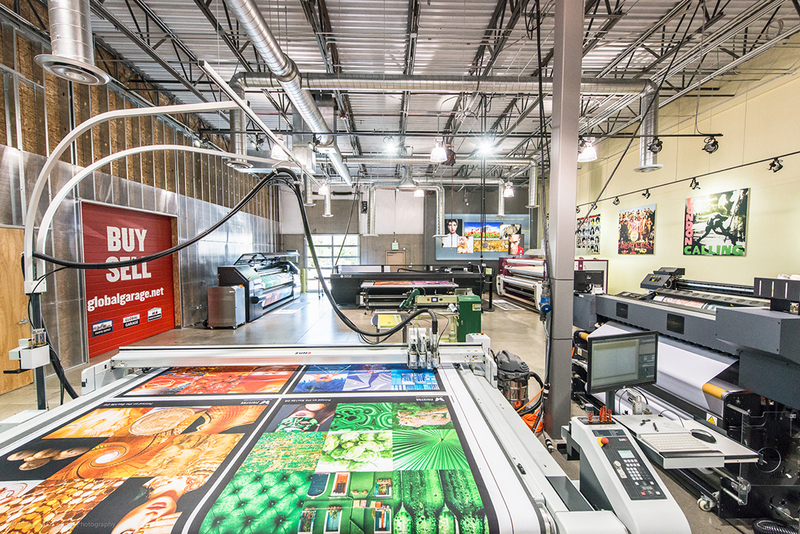 Load a single 16-foot roll and print to the full width, or load two different rolls and print several jobs simultaneously. 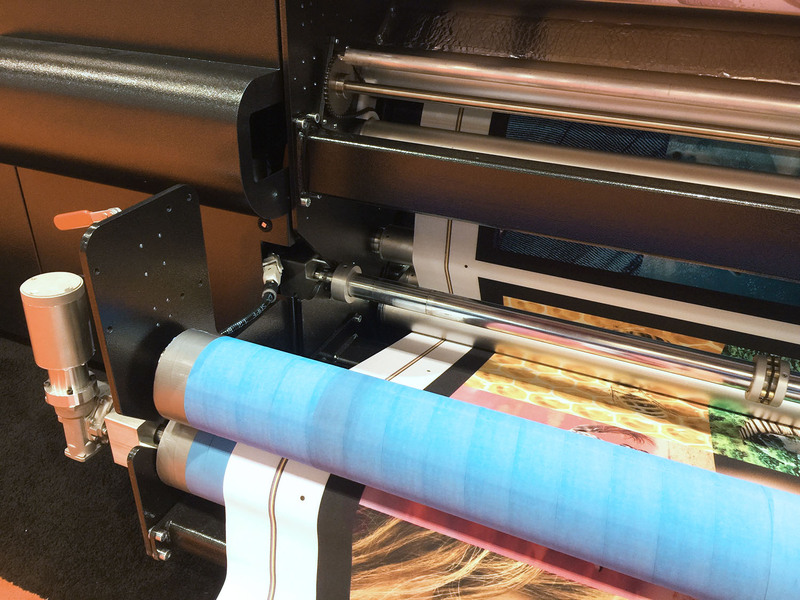 Jumbo Roll Winder/Unwinder – Keep production moving with an optional Jumbo Roll setup that accommodates larger fabric rolls, eliminating the need to switch out material as frequently. 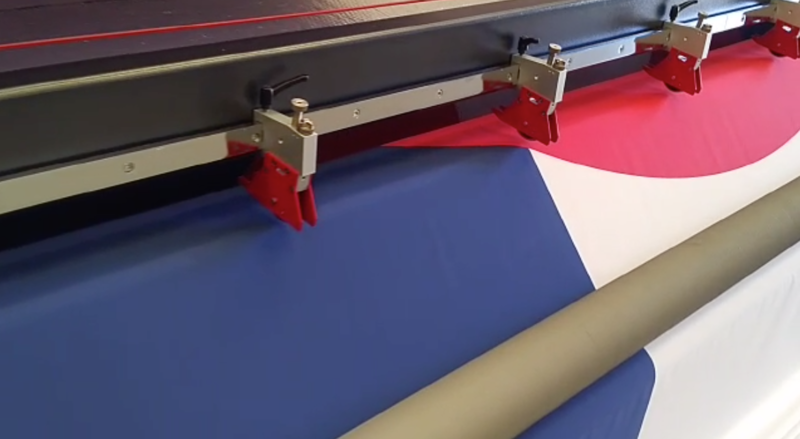 Roll to Sheet Attachment – Consists of two pinch rollers that apply constant tension on the material, allowing the operator to remove finished prints as they come off of the machine instead of being spooled onto a takeup reel.